Summer holidays are approaching and travel plans are being made. If you’ve traveled with small children before you know that a holiday is no holiday at all when little ones are tired and cranky. Remembering to include sleep in your travel plans will lead to a more enjoyable time for everyone. But, even if you try your best to prioritize sleep, the best laid plans can go astray. 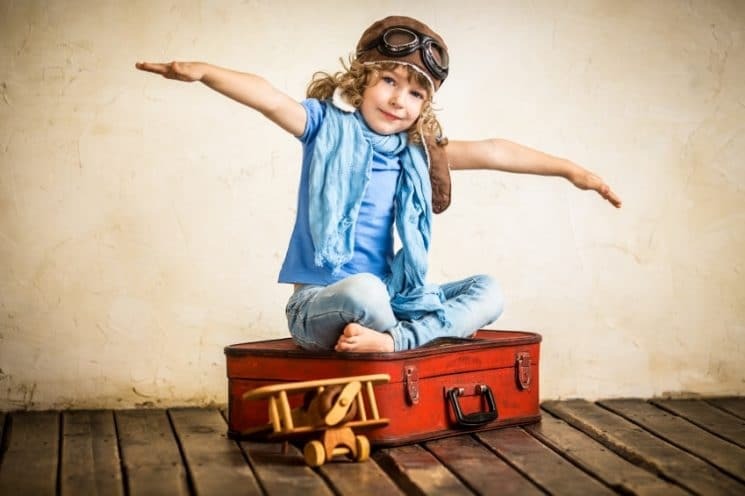 It’s inevitable that kids may need to skip naps on a travel day, or your accommodation is not ideal and your little ones don’t sleep as well as they would at home. The good news is that if your children have strong sleep skills, they can always get back on track once you arrive home. Here are three tips for how to get sleep back on track after holiday travel. Look for the signs of holiday sleep debt. A week or two of late bedtimes and poor naps can lead to a sleep debt. Sleep debt causes your child’s body to secrete an excess amount of the stress hormone, cortisol. This imbalance makes it more challenging for your little one to fall and stay asleep. Signs that your little one has developed a holiday sleep debt include difficulty settling for naps and bedtime, night waking and early morning rising. Re-focus with a regular sleep routine. Moving through the steps of a consistent sleep routine sends a strong signal to your little one that sleep is near. Once you’ve returned from your travel, get right back into your old, familiar sleep routines. An example of a nap routine is a diaper change, putting on a sleep sack, reading a book and singing a song prior to laying your baby down in the crib. A bedtime routine might consist of a warm bath, putting on pyjamas and a sleep sack, reading a book and singing a song. It’s important to keep these routines fairly brief. A few minutes prior to the nap and no longer than 30 minutes prior to bedtime will hold your child’s attention span through the process. If you have preschoolers, bringing in a routine chart for a little while will give them some ownership in the process as you refocus and get back on track. Utilize an early bedtime to pay back a sleep debt. Bedtime is always a moving target. Being responsive to your child’s sleep needs means recognizing how sleep varies day to day. There will be days when the quality of daytime sleep has been poor, your child has been more active than usual or your little one is recovering from illness. If you arrive home and suspect your child has developed a holiday sleep debt, an early bedtime is the best way to recover. A temporary bedtime of 5:30/5:45pm is very useful for an overtired baby, and a 6-7pm bedtime helps pay back sleep debt in toddlers and preschoolers. Whenever you make a change with your little one’s sleep schedule, such as an early bedtime, be sure to try it for at least 5 nights before you decide whether or not it’s helping. Once you see improvements in overall sleep you can inch bedtime back to it’s usual range. Here are some tips to help your child ease back into his bedtime routine before his school re-opens.